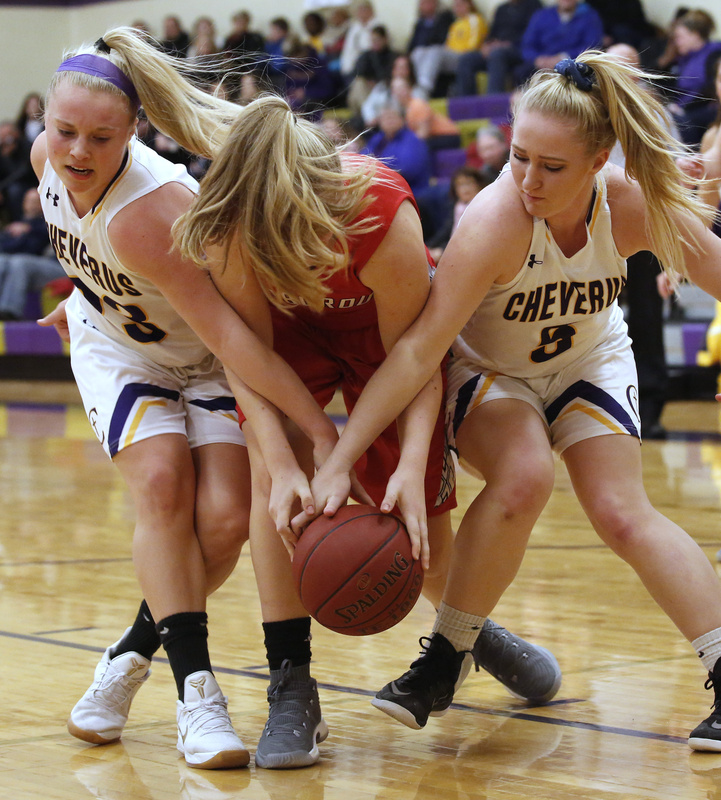 Lauren Jordan, left, and Michaela Jordan of Cheverus try to strip the ball from Jocelyn Couture of Scarborough in the first half of Friday night's game in Portland. 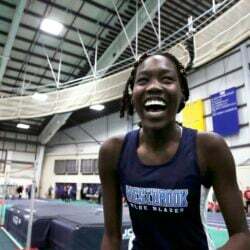 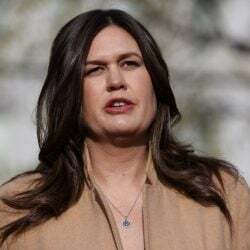 Scarborough won 50-48. Looking for an opportunity to rebound in the first half are from left, Meg Kelly of Cheverus, Isabella Dickinson of Scarborough, Kat Kane of Cheverus, Sophie Glidden of Scarborough, Lauren Jordan of Cheverus, and Julia Freeman of Scarborough. 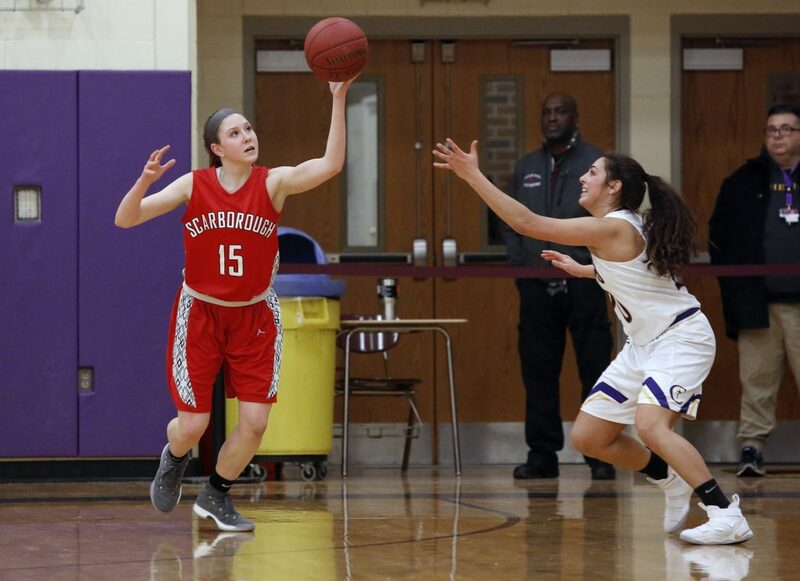 Jocelyn Couture of Scarborough puts up a shot as Abby Cavallaro, left, and Kat Kane of Cheverus defend in the second half. 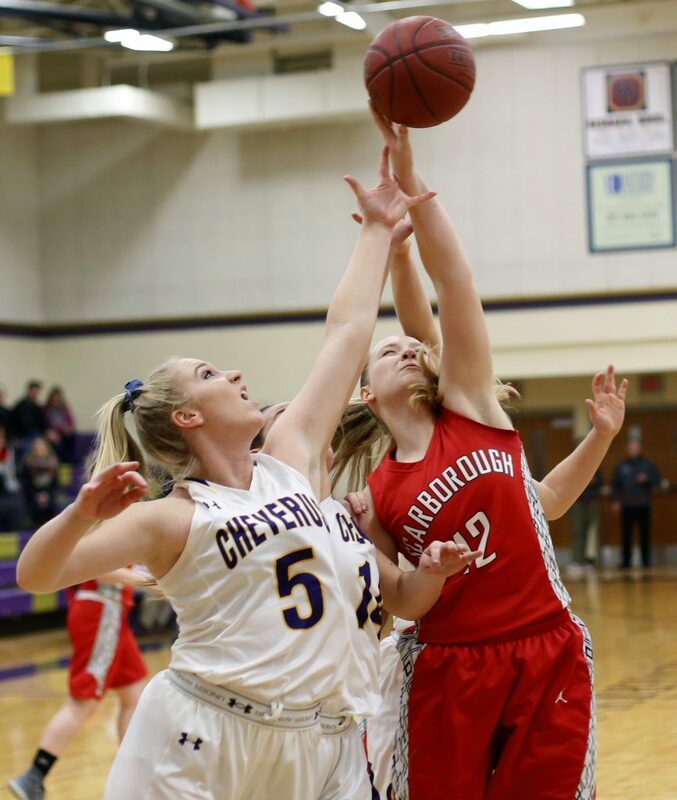 Madison Blanche of Scarborough drives to the basket past Emme Poulin of Cheverus in the first half. 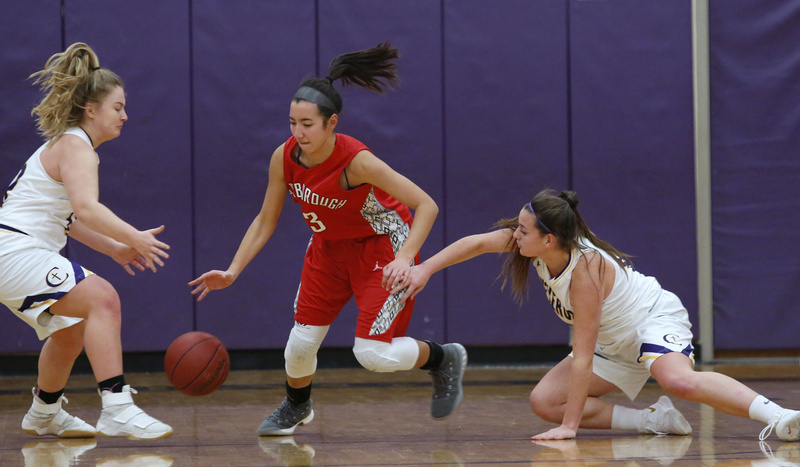 Madison Blanche of Scarborough steals the ball in the first half between Meg Kelly, left, and Abby Cavallaro of Cheverus. 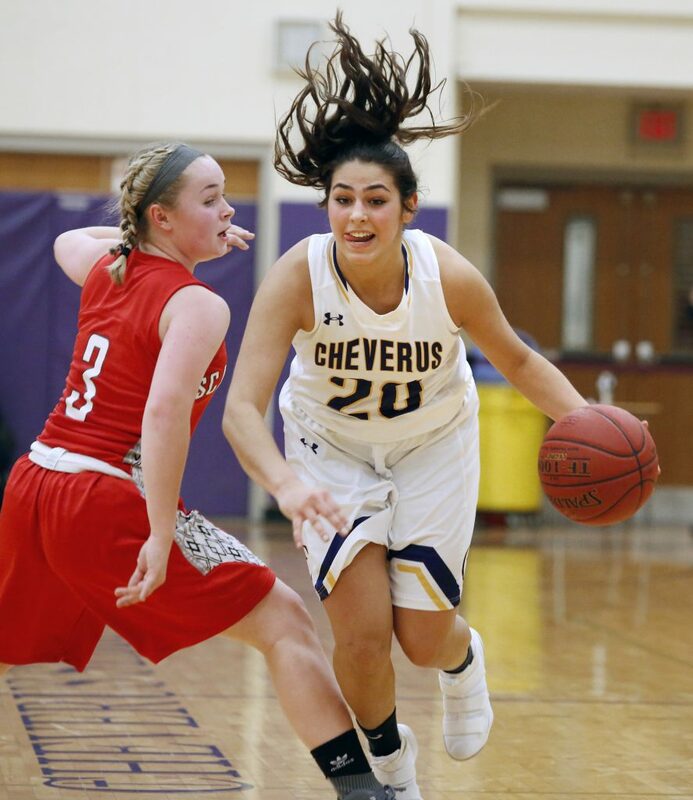 Jocelyn Couture of Scarborough and Michaela Jordan of Cheverus compete for a rebound in the first half. 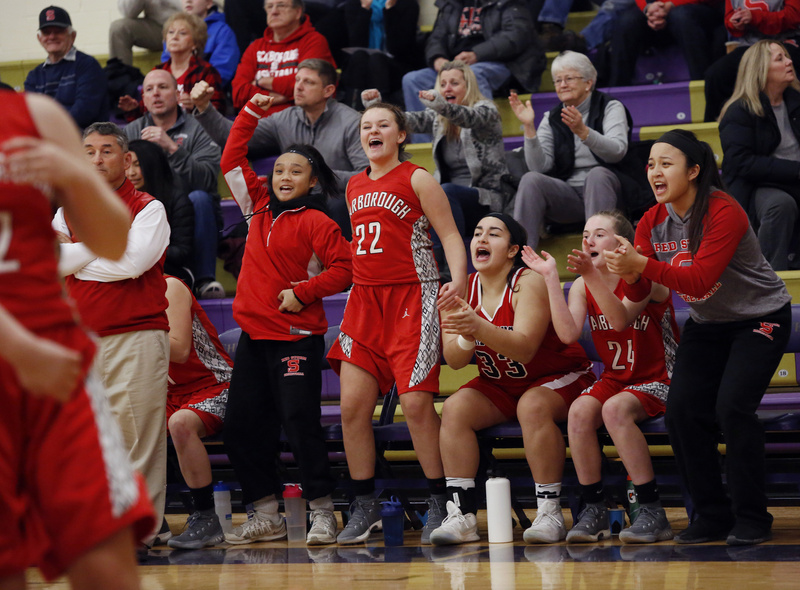 Scarborough teammates celebrate from the bench in the second half. 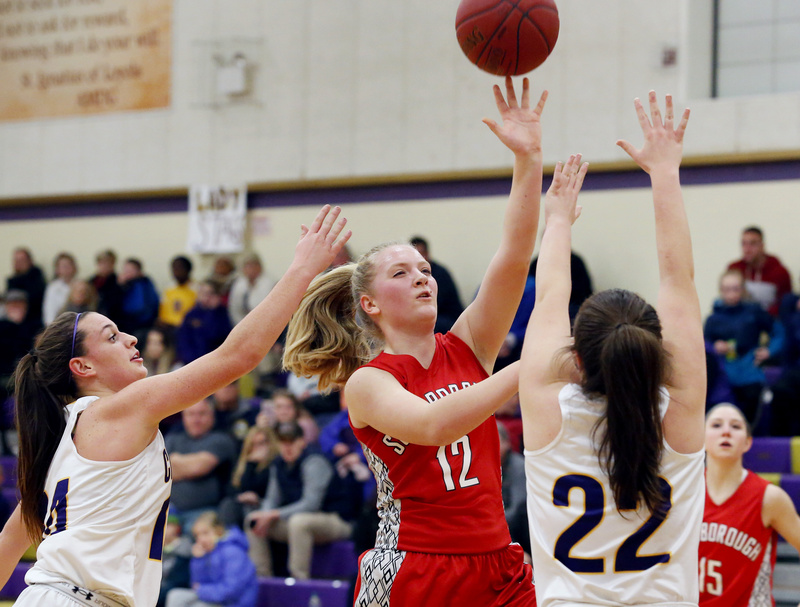 The Red Storm won 50-48 on Madison Blanche's free throws with 26 seconds remaining. 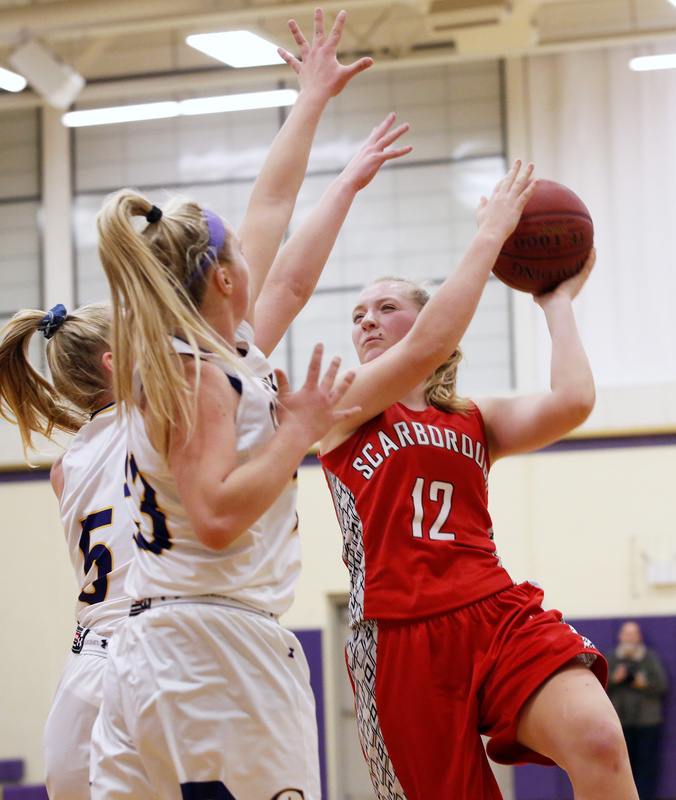 Julia Freeman of Scarborough picks off a pass intended for Emme Poulin of Cheverus in the first half. 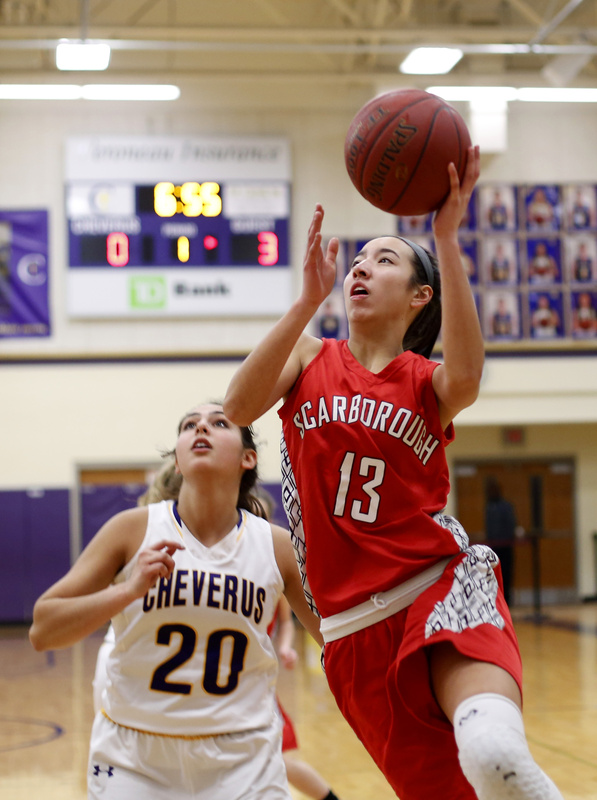 Jocelyn Couture of Scarborough drives to the basket as Michaela Jordan, left, and Lauren Jordan of Cheverus defend in the second half. 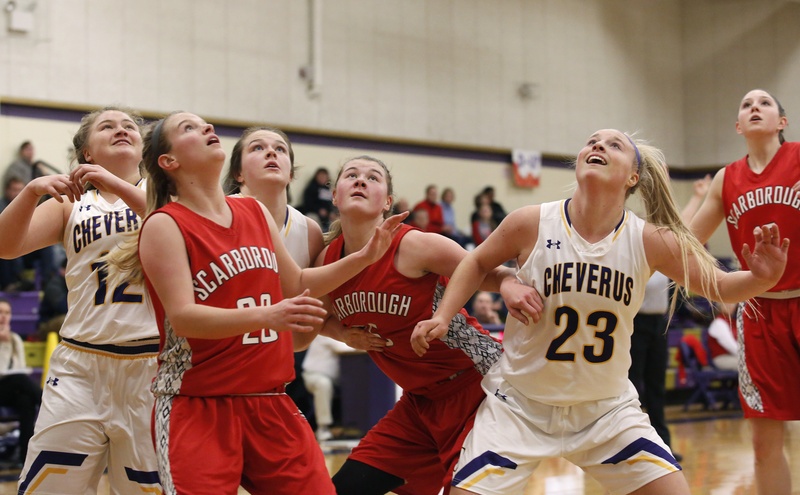 Emme Poulin of Cheverus drives past Lindsey Kelley of Scarborough in the second half.